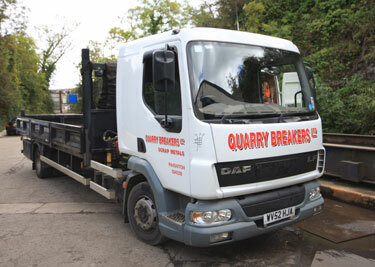 Newbery Metals Paignton, formerly Quarry Breakers (Paignton) Ltd. Working from Paignton across Devon and the entire south west of England we are always available to help and answer any questions you might have. Buyers of all types of scrap metal, scrap car (ELV) collection service, End of Life Vehicle - Authorised depollution bay, used car parts and spares, family run scrap merchants in Paignton, Devon. 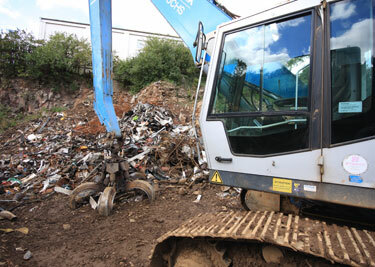 Newbery Metals Paignton Scrap Merchants in Paignton offer a quality scrap service. Find out what we can do for you. We are experienced and have the expertise that allows us to buy all grades of non-ferrous metals such as brass, copper, lead and aluminium and many alloys such as stainless steels, then process and grade them to our customers requirements for melting at foundries both in the UK and worldwide. We also deal with significant quantities of ferrous metals such as light steel cuttings, steel purchasing, profile plates etc, this is also processed to our customers requirements and sent to iron foundries and steel mills. At Newbery Metals Paignton we continually monitor the ever changing metal prices. This is the key to us being certain that you the customer obtain the best returns for your scrap metal.